Organize photos with facial detection. Is there a better alternative to iLovePhotos? Is iLovePhotos really the best app in Applications category? Will iLovePhotos work good on macOS 10.13.4? iLovePhotos We created iLovePhotos to be simple and useful photo sharing. Play with your photos. Share your photos. Love your photos. 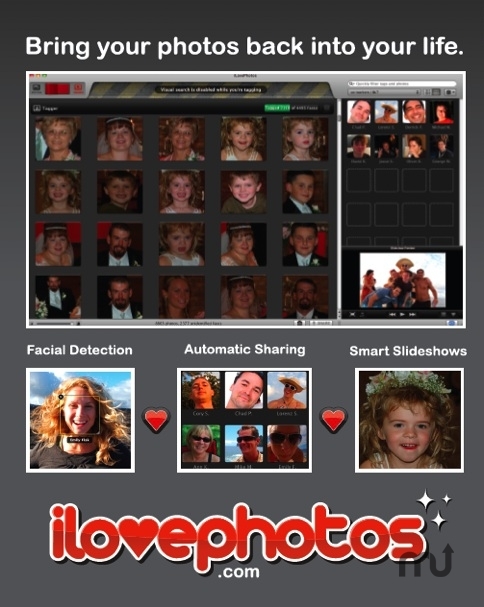 iLovePhotos is free Mac desktop software that uses facial detection to make it effortless to share and enjoy your photos. iLovePhotos needs a review. Be the first to review this app and get the discussion started! iLovePhotos needs a rating. Be the first to rate this app and get the discussion started!